Green Hills of Africa Lodge or similar. 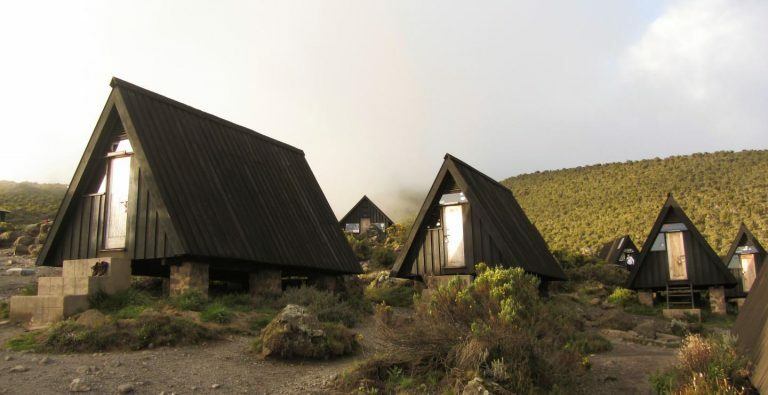 Set in a compound with ancient African trees offers peace and silence after a long flight and before the Trek. The ascent : Today is the ‘big day’ – the summit stage. You will start in the middle of the night when the lava ash is still frozen and walking on it is easier. You will begin the long and strenuous trek to the summit in the dark. Passing the Hans Meyer cave at 5,200 m –a slow climb to the top. 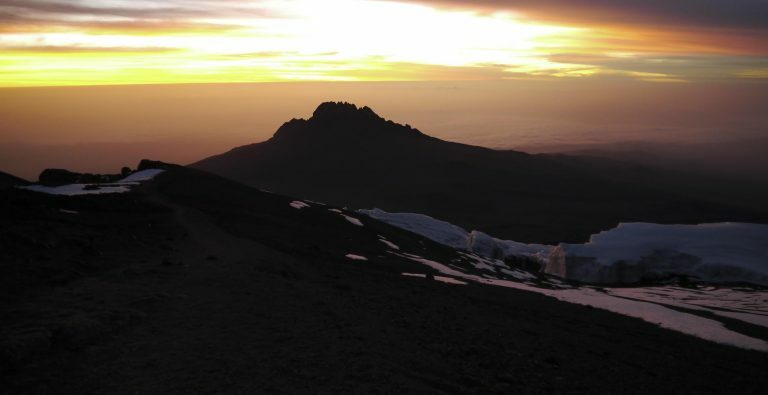 At sunrise, you will reach Gilman’s Point (5,715 m) on the crater rim. 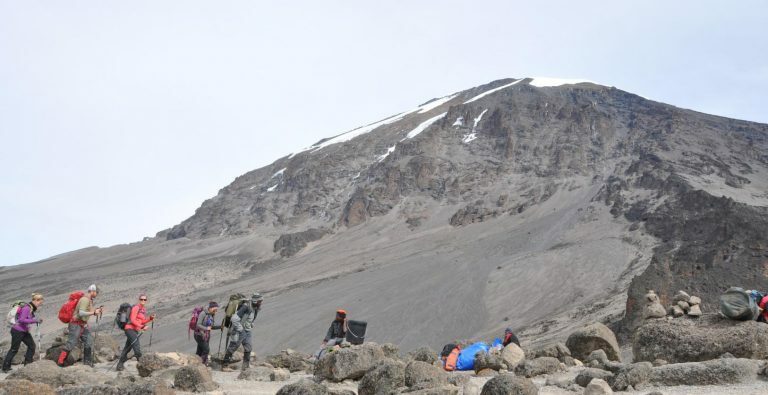 Soon you will have forgotten the cold of the night and within 1-2 hours, reach Uhuru Peak at 5,895 m. Now you are standing on the ‘Roof of Africa’. 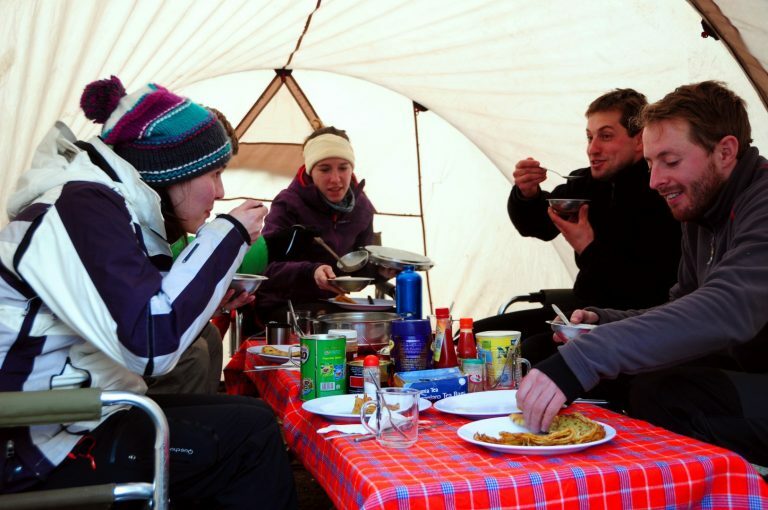 The last stage passes through the heather and moor zone to the Mandara Hut (2,670 m) where a cooked lunch awaits you. 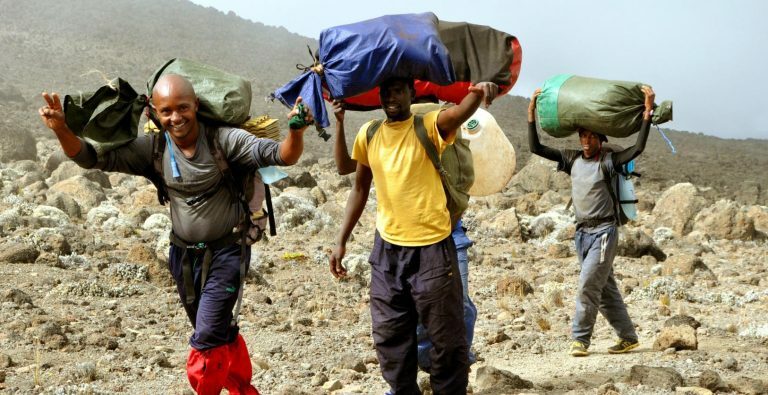 Soon again you will be in the lush tropical rainforest and after about 6 hours of trekking, you will be back at the Kilimanjaro National Park gate (1,840 m). 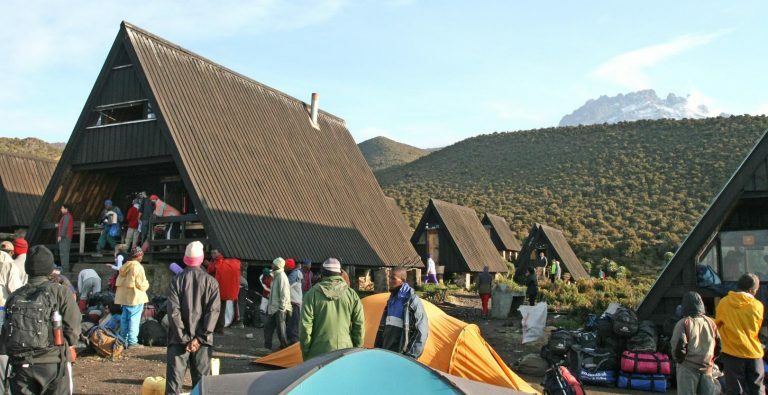 After saying goodbye to your mountain crew you will be taken back to the small lodge. 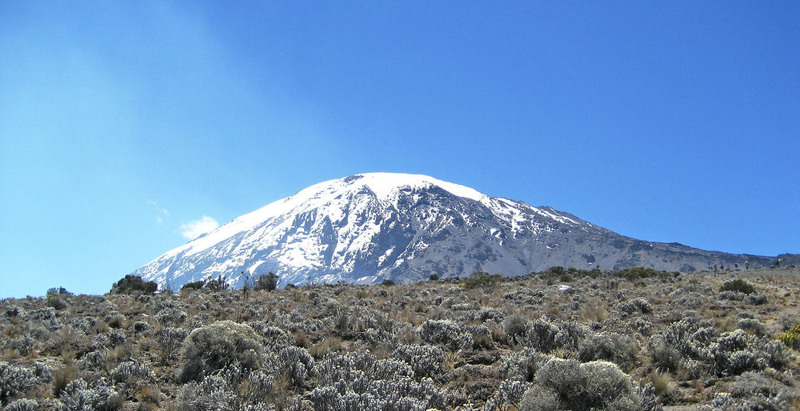 At the hotel you can have a warm shower and celebrate your success in reaching the summit of Mt Kilimanjaro. Breakfast, lunch and dinner. 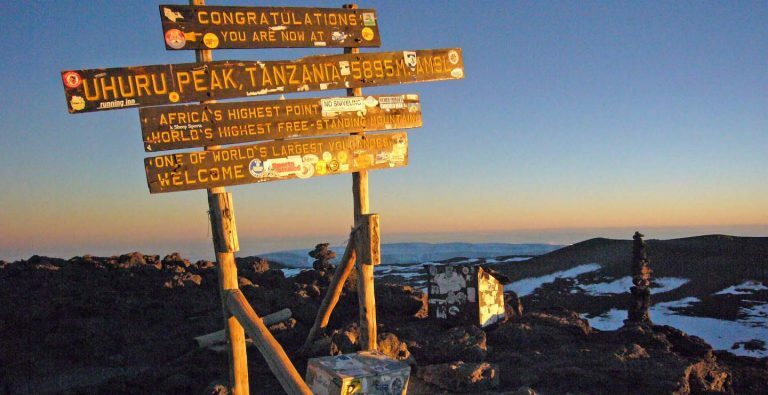 Breakfast, transfer to Kilimanjaro Airport for your international departure. 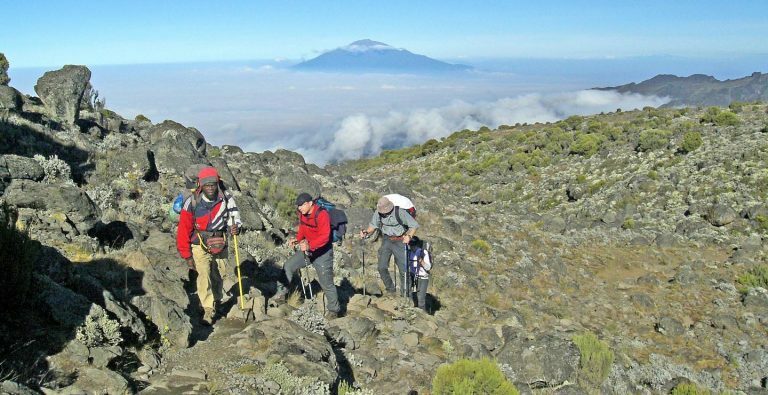 Love to spend even more time in Tanzania? 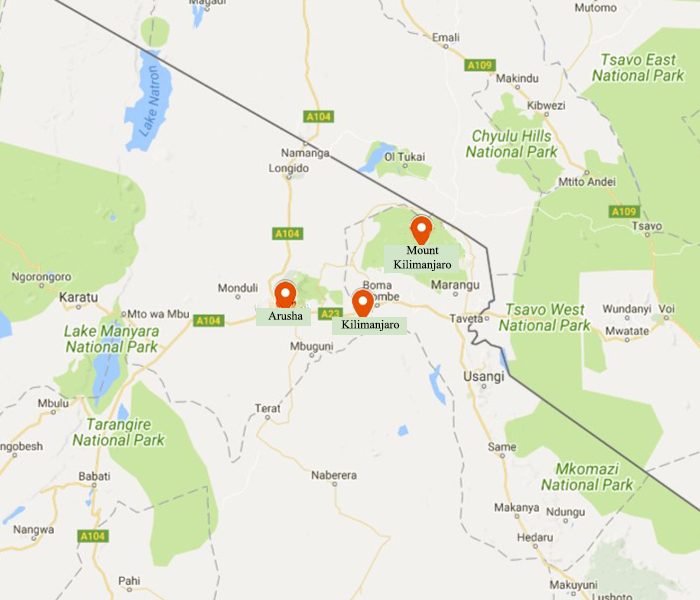 Check out our Essential Tanzania tour covering Tarangire , Serengeti, Ngorongoro.